Spring seems to be coming our way in small spurts. We have seen temperatures in the low 30's but next week the forecast is for sun and temperatures in the 40's. Business owners begin coming back to the Island in April to open up their restaurants and shops in order to be ready for the first day when the ferries will begin running their spring schedule. As soon as we hear from the ferry lines about their 2011 schedules we will update our pages with that information. The last week in March was sunny with a cold wind coming from the north...making people wonder if April showers will be coming our way anytime soon. We are ready to see the beautiful spring flowers peeking their heads out from the ground. #1) First Big Event of the Year Is Geocaching on April 29-30. Ready for a Treasure Hunt called Geocaching? 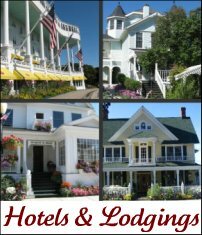 Does being outdoors traveling around Mackinac Island searching for over 90 hidden Geocaches (treasures) with other fun spirited people sound intriguing? Well, sign up for the 5th annual Geocaching Spring Fling that begins at the Grand Hotel at 9 a.m.
All you need is a GPS, however, a bike will help since all the treasures are hidden all over this fantastic Island. Due to the ferry schedule, it's probably best to plan to stay on the Island on April 28th to not let anyone get ahead of you! To read more about the Geocaching Spring Fling Event click here. Once again there are some terrific foot races on Mackinac Island and several Mackinac Bridge running and walking events. Of course, the first race is the Lilac Festival 10K. This race will start your 2011 Summer off on the right foot (unless you are left handed which might make you left footed). 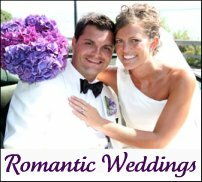 Reserve your spot now and plan a healthy Mackinac Island vacation this summer. There are three terrific running events on the Island: One event is a 10k run or walk, one is an eight mile run or walk and the other has both a half marathon or a 5.7 mile run and walk associated with it. 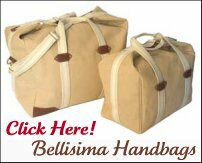 Read details about all the terrific race events on our Mackinac Island Races 2011 page. On a cold day in March, Marcia and Kathy interviewed the one and only Phil Porter of Mackinac State Historic Parks. His insight and leadership has brought Mackinac Island State Park great accolades to the Island, to our great state of Michigan and to our country. 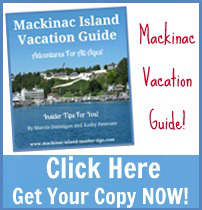 The Mackinac Island State Park Commission operates three state parks, Mackinac Island, Michilimackinac and Mill Creek, which attract and serve people from throughout Michigan, the U.S., and at least 50 countries every year. 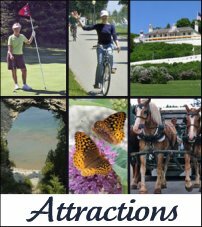 There are 3,500 Members of Mackinac Associates who provide more than $200,000 annually to support MSHP historic and park programs and activities. Please join this important group of dedicated people to ensure the future of MSHP for our children. 1,000,000 is the number of guests that visit the three state parks every year. There have been 20,562,880 visitors since 1958. Read Phil's interview by clicking here. The Donnybrook Cookbook is a compilation of tried and true recipes prepared with love and shared around a large table in the dining room. The cottage is filled with laughter as everyone recalls happy times on Mackinac Island. For a special springtime treat, visit our Donnybrook Mackinac Cookbook page and read our April recipe for Heavenly Orange-Pineapple Cake! 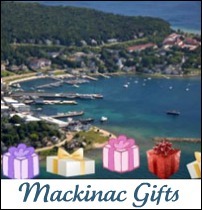 We'll keep looking for Updates to send to everyone in our next Mackinac Update e-zine in May! If you have any events or news you would like us to share just Contact Us.